Thank Venice for your artichoke. And your arsenal, ballot, casino, contraband and gazette; your ghetto, imbroglio, gondola, lagoon, lido, lotto, marzipan, pantaloon, pistachio, quarantine, regatta, scampi, sequin and zany. Oh, those zany Venetians! Those are some of the words that, originally Venetian, are now common currency in English. The Venetian language is actually older than Italian, an artificially created language based on Tuscan and Tuscan writers like Boccaccio, Dante and Petrarch. 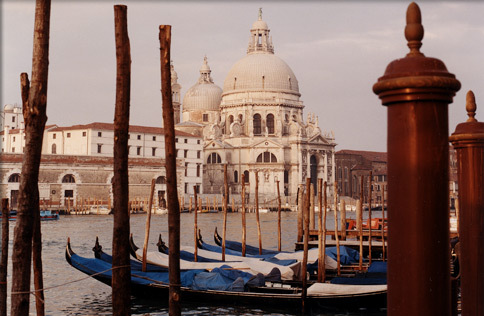 Venetian, on the other hand, can still be understood in Burano and some of the outlying islands in the lagoon. Ronnie Ferguson, head of the linguistics department at St. Andrews University, has compiled A Linguistic History of Venice, and a review in the Times of London makes for fascinating reading.